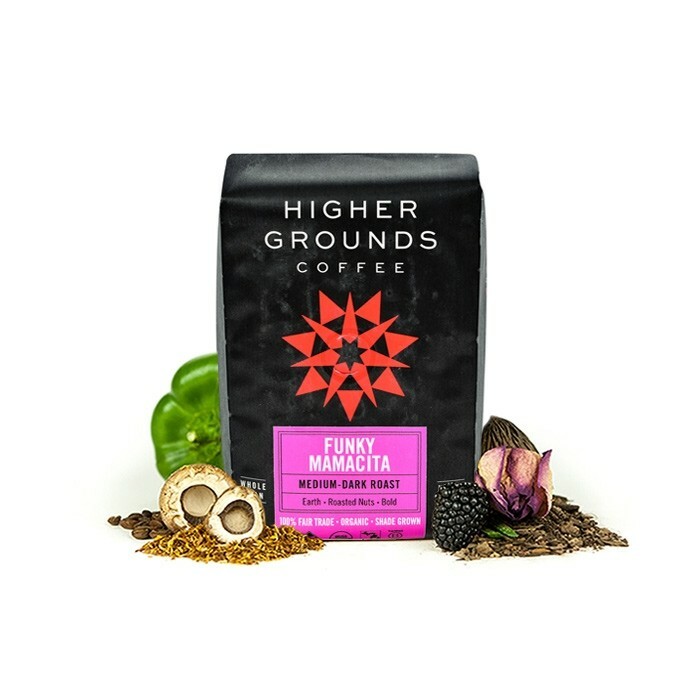 The Funky Mamacita was blended and roasted for you by Higher Grounds Coffee. The Funky Mamacita features Fair Trade and Organic certified coffees from South American countries of Bolivia and Peru. We think this medium roast coffee has bold, hearty earthy notes complemented by roasted nuts. Really enjoyed this coffee. Smooth and consistent flavor in each brew. Nice earthiness and nuttiness. It was not terribly "bold" by my idea of how "bold" relates to coffee which apparently was alright by me because I enjoyed this coffee selection immensely!